Travelling overseas is great, but sometimes it’s nice to holiday within your own backyard. After all, our Great Southern Land has some truly great hotels to choose from. 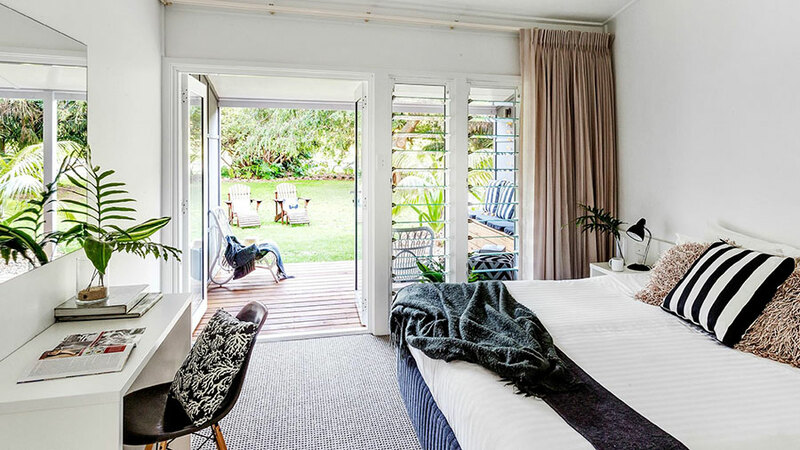 With the recent announcement of TripAdvisor 2019 Travellers’ Choice Awards for hotels, selecting which Aussie hotel to spend your days at just got a little easier. Based on the millions of ratings and reviews gathered by TripAdvisor over 12 months, the annual tourism awards shine a light on properties that are a cut above the rest in terms of service, value, facilities and providing the overall experience that travellers desire. While there are a couple of familiar faces from last year, there are a few surprises too, highlighting just how diverse Australia’s accommodation industry is. 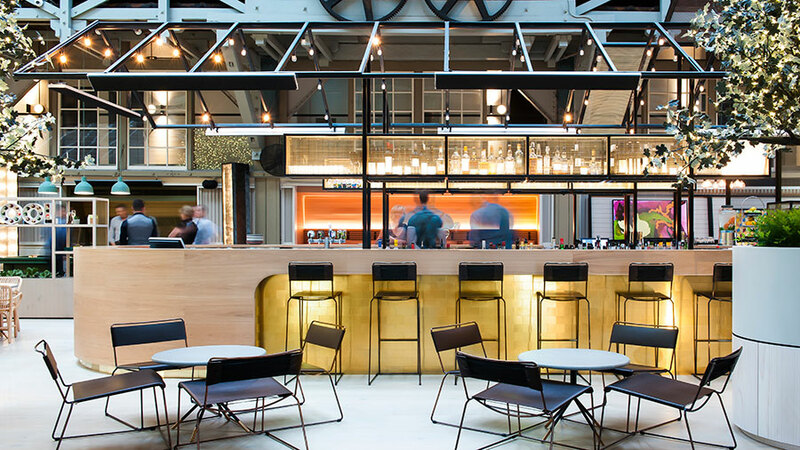 Stretched along Sydney’s Woolloomooloo Wharf, the longest timber-piled wharf in the world, Ovolo Woolloomooloo boasts a picturesque Sydney Harbour view and is a stroll away from some of Sydney’s best waterfront restaurants. The hotel features beautifully designed loft rooms that blend heritage style with modern luxury. The number one place is deserved. TripAdvisor average price of $434 per night. Sitting on World Heritage site Lord Howe, Pinetrees Lodge as their name suggests, is nestled amongst pine trees, faces one of the world’s most pristine lagoons, and surrounded by lush forests and a rich biodiversity of flora and fauna. One of Australia’s oldest family businesses and a two-year consecutive Travellers’ Choice #1 award winner, the lodge offers a range of activities from surfing, snorkelling and diving to bird watching, fishing, and spa treatments. 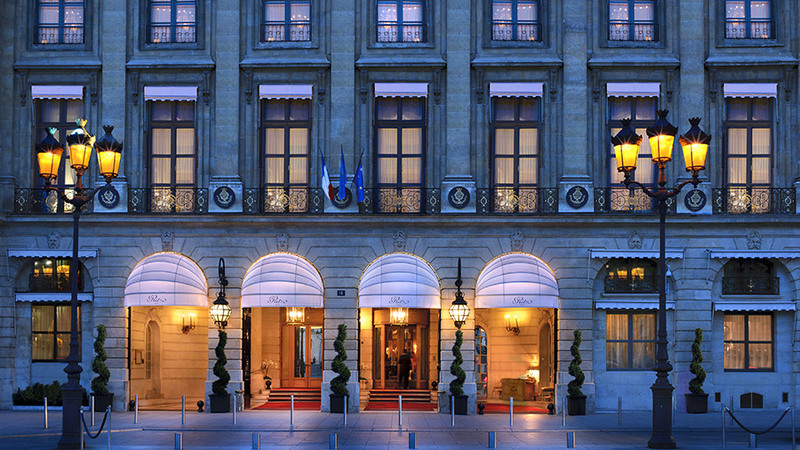 TripAdvisor average price: $1,387 per night. 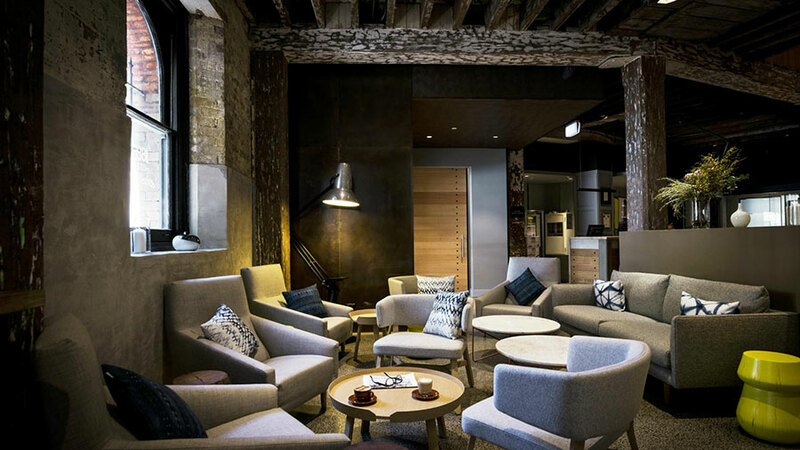 Steeped in history, Ovolo 1888 Darling Harbour was constructed in 1888 and originally a wool factory and warehouse. Overhauled with shutter-happy Instagrammers in mind, the hotel effortlessly blends Sydney’s old-world charm with contemporary design. Each room features three-metre high ceilings, recycled timber work stations and bespoke furniture. TripAdvisor average price: $338 per night. 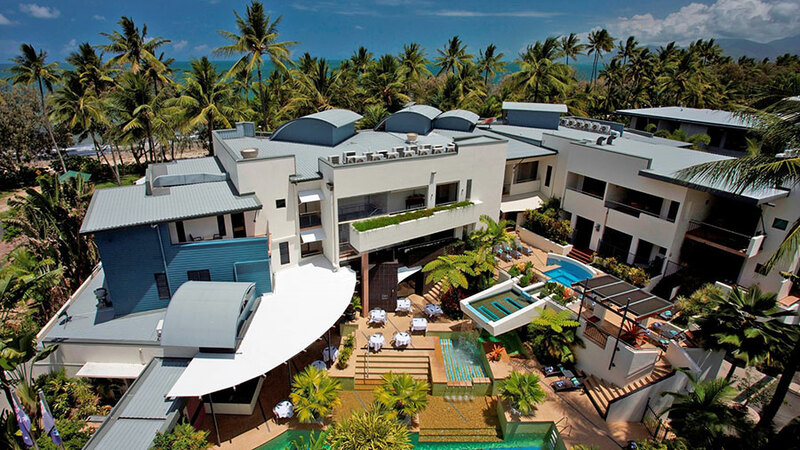 A boutique, adults only hotel overlooking Four Mile Beach, Peninsula Boutique hotel is the only hotel in Port Douglas with beach and ocean views. It’s situated right by the water and an easy stroll into town, where you can find a great choice of restaurants, bars and shops. TripAdvisor average price: $405 per night. 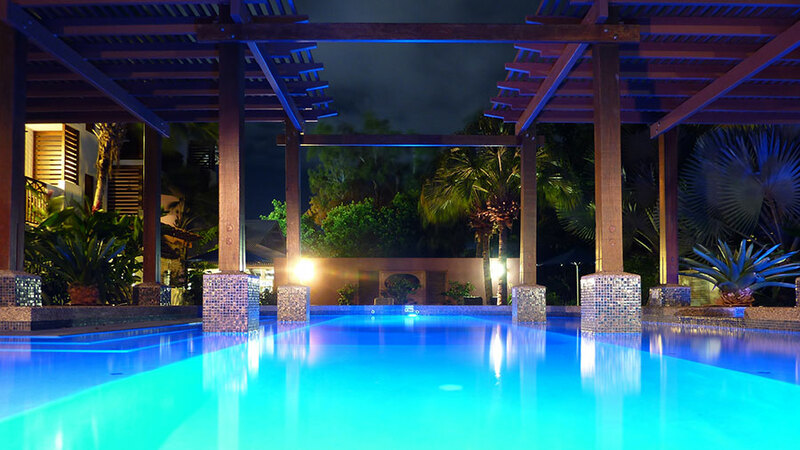 Located near the heart of Rockhampton, Korte’s Resort is a tropical oasis that offers value for money for any t occasion. “Korte’s Resort is a great place to stay, the room was spacious, fresh and clean. 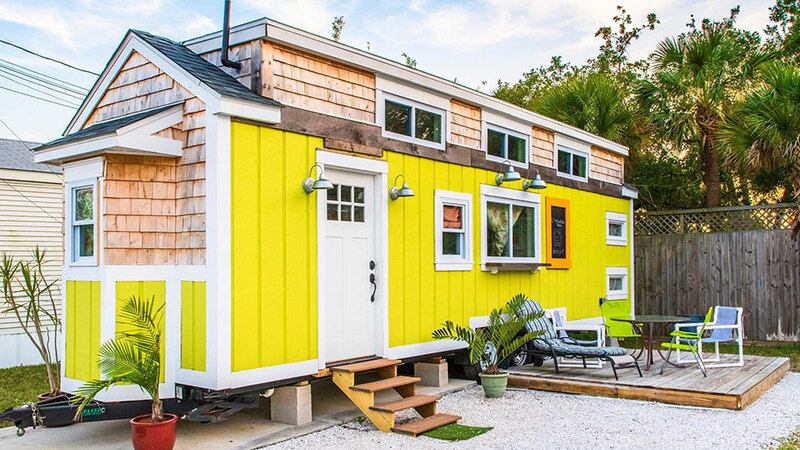 The facilities were excellent for a getaway,” stated a TripAdvisor review. TripAdvisor average price: $157 per night. Residing within a beautifully restored 19th century state building, COMO The Treasury is situated at the heart of Perth’s CBD. 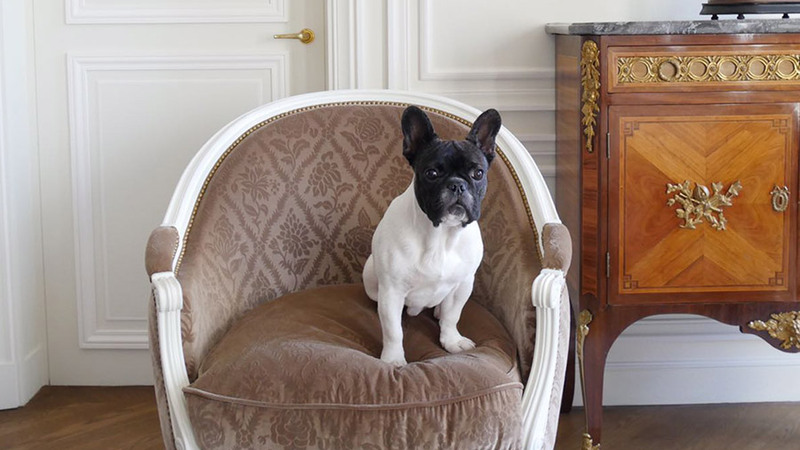 Designed by renowned local architect Kerry Hill, no two rooms are alike, and every aspect of the 48-room hotel features impeccable details such as handcrafted European furnishings, high ceilings, large windows and travertine stone tiles. TripAdvisor average price: $645 per night. Situated in Sydney’s historic Rocks district, The Langham, Sydney boasts stunning west facing views to the harbour. With a focus on providing a grand residential experience, every room features bespoke furnishings amidst soft panelled walls, Juliette balconies and/or signature terraces. 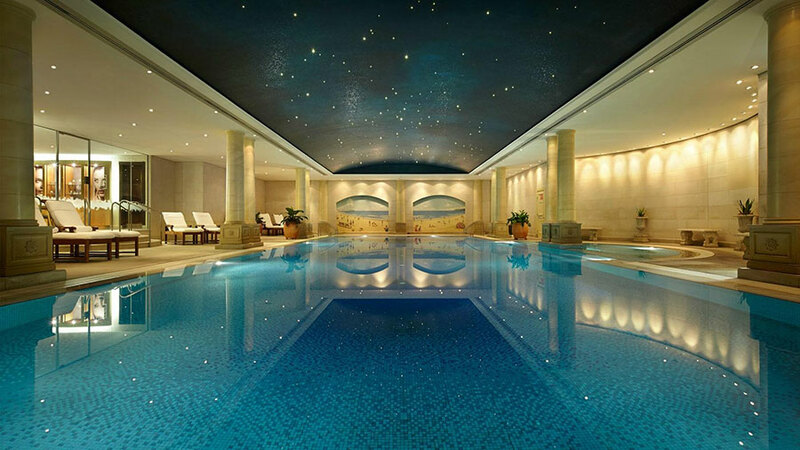 Treat yourself to a rejuvenating spa treatment, swim in the 20m indoor pool with its star-dappled ceiling, or work up a sweat in the hotel’s high-tech gym. TripAdvisor average price: $523 per night. 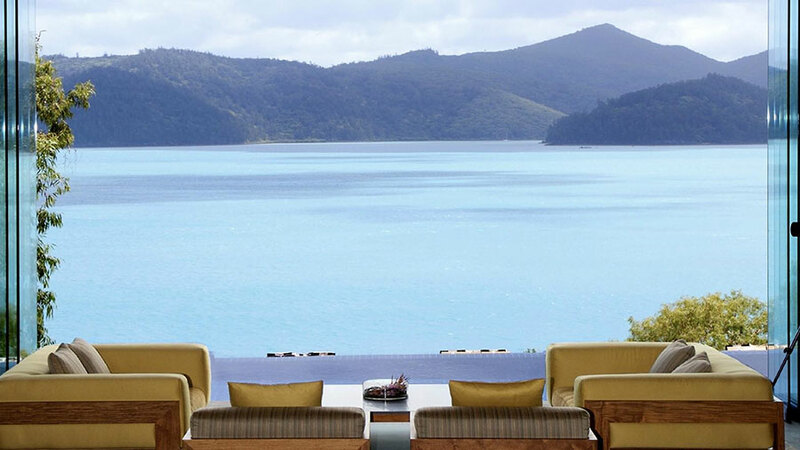 Latin for ‘a collection of deeper sensory experiences’, Qualia Resort sits on the northern-most tip of Hamilton Island, surrounded by the magic of the Great Barrier Reef. Exquisitely designed and promising privacy, each pavilion faces the water with breath-taking views; some even inclusive of a sundeck or a personal infinity edge plunge pool. TripAdvisor average price: $1,508 per night. 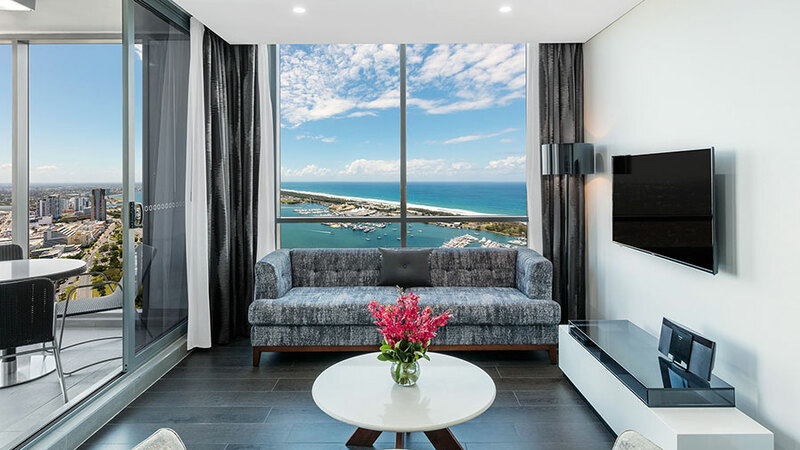 At 55 levels high, Meriton Suites Southport is located in one of the city’s tallest buildings and all 208 suites are between levels 25 and 55. 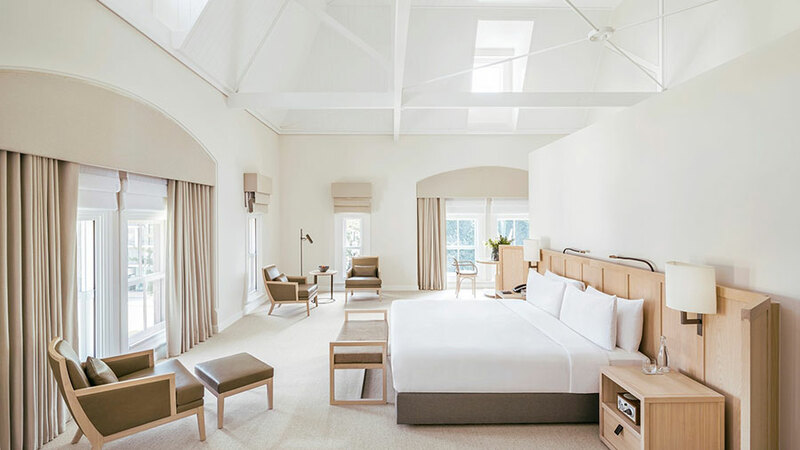 Soak up the magnificent sights from any suite—of stunning hinterland and surrounds, and pristine surf beaches from the Pacific Ocean coastline. The suites each feature open living spaces and luxury inclusions such well-appointed kitchens and full-sized bathrooms, creating a perfect home away from home. TripAdvisor average price: $236 per night. Located a short walk away from tropical paradise Four Mile beach and main shopping and restaurant district Macrossan Street, Freestyle Resort Port Douglas sets the standard for boutique accommodation in the Port Douglas region. While the resort features an award-winning spa and heated swimming pool, the highlight for most travellers was still the personalised service by resident managers Jason and Anne. TripAdvisor average price: $264 per night. 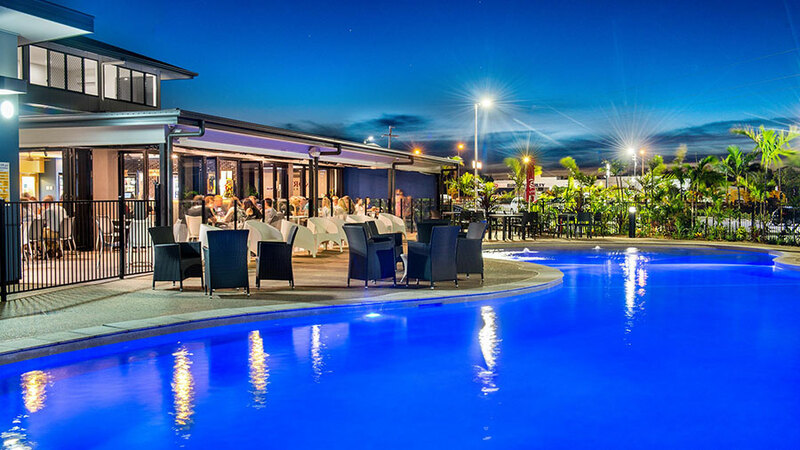 Have you stayed at any great Aussie hotels recently? Which would be your number one?